After five editions, the one-day race is marketing itself as an 'Australian classic' and is drawing more and more top riders. 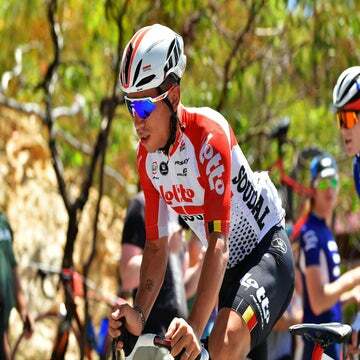 GEELONG, Australia (VN) — How big is the Cadel Evans Great Ocean Road Race after just five editions? Italy’s Elia Viviani, arguably the fastest man in the peloton right now, put it on the top shelf among one-day races he’s targeting throughout his career. For a sprinter at the peak of his game, it’s natural that Viviani is putting such races as Milano-Sanremo and Gent-Wevelgem at the top of his wish list. Among the one-day classics a sprinter can win, those are the two obvious crown jewels. After dashing to victory Sunday ahead of archrival Caleb Ewan (Lotto-Soudal), Viviani said the Evans road race was one of those races he wanted to win. 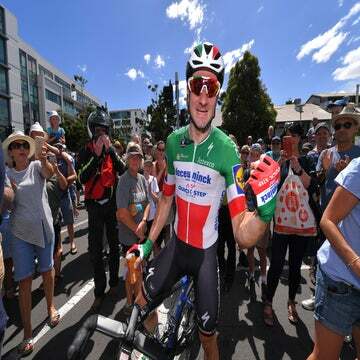 Having a rider with Viviani’s caliber and quality targeting and winning the Australian one-day WorldTour race reveals how the race is quickly finding its place among the elite peloton. Created in 2015 as Evans’ swansong event, it’s much more than a vanity project for Australia’s retired yellow jersey winner. It’s grown into the season’s first major one-day race and a natural complement to the Santos Tour Down Under held in neighboring Adelaide. In just five editions, the race is now part of a growing number of teams’ and riders’ early season itineraries that are making Australia a launching pad for the international racing calendar. The race is the brainchild of Evans and his agent Jason Bakker. The pair began discussing the idea of some sort of race event in the Geelong area in the years after Evans became the first Australian to win the Tour de France in 2011. Evans has owned a home near Geelong since his racing days. Bakker, a former cricketer who represents some of Australia’s top sports stars, met with local officials to plant the seed. The pitch was to create a signature event built around Evans’s growing fame and Australia’s cycling boom. Local officials were also keen to promote cycling and to create a legacy event from the world championships held in Geelong in 2010, and the pieces started to come together. Bakker reached out to ex-pro Sunderland to come on as race director. The inaugural event was held in 2015, with Evans racing to fifth place in the final race of his career. The idea was to create a one-day race, something Sunderland calls an “Australian classic,” and have it dovetail into the well-established Santos Tour Down Under held a week earlier. Bakker took care of the political and business end, and Sunderland helped design the out-and-back loop that takes in portions of the Great Ocean Road, a strip of asphalt carved out of the rugged southern coast akin to California’s Big Sur highway. The race features a larger loop open to crosswinds before an urban finishing loop featuring the race-breaking Challambra climb. Riders have slowly figured out how to race the event, and Viviani, who was second last year after chasing back from a gap, timed it just right. A big presence over the weekend is Evans, who flew in from Switzerland just days after the birth of his new baby to attend his eponymous event. Still looking Tour trim, Evans took part in a kiddie ride as well as the public mass participation event. He mixed it up in the VIP tent and even helped with TV commentary. Organizers are hoping to position the event as part of a larger movement across Australia dubbed the “summer of cycling,” a promotional theme to push both competitive and recreational cycling nationwide in the southern hemisphere. While bike racing is fragmented and struggling in North America, cycling Down Under is enjoying a boom, with two WorldTour events and a robust racing calendar that’s drawing some of the peloton’s biggest stars. The Evans race is now firmly part of a thriving Australian racing calendar, which includes a critérium series, the Australian national championships, the WorldTour-opener at the Tour Down Under, and the Herald Sun Tour, Australia’s oldest stage race held in late January. This year, the Evans race attracted 15 of the 18 WorldTour teams. Because it’s a new event, teams are not required to attend, but more and more are adding the trip onto the end of the Tour Down Under. With WorldTour points up for grabs, more riders and teams are staying on. Several top stars are using Australia as a central part of their training and racing calendar. Richie Porte (Trek-Segafredo) is racing all the way through the Sun Tour, as is Canadian Michael Woods (EF Education First), who rented a house in late December to train and prepare for the season’s early races. A pre-race people’s ride drew nearly 4,000 public riders, including a handful of WorldTour sport directors as well as Evans (who attacked hard to drop some of his former rivals in good fun). Australian cycling luminaries were out in force, including Phil Anderson, Olympic gold medalist Scott McGrory, and John Trevorrow, who also works as the Herald Sun Tour race director. Also on hand was Australian cycling’s key backer Jerry Ryan, who owns the Mitchelton-Scott team. Despite Ryan’s deepest ambitions, the team has never won the race. It fell short on Sunday, with Daryl Impey sprinting to third. 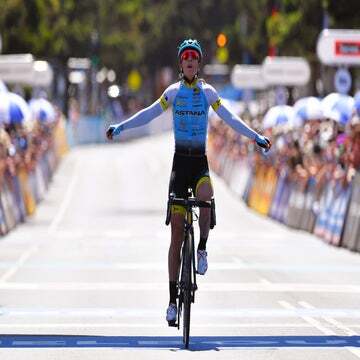 Due to the growing popularity of the bike race as well as the date of the well-established Tour Down Under, a long-running local sailing event also held in Geelong might move its date so the two marquee events don’t overlap. The race is also unique in that it provides live, start-to-finish TV broadcasts of both the men’s and women’s road races, with equal prize money. The women’s race seems poised to become a full-blown WorldTour event after a delegation from the UCI was on hand to inspect the racing this weekend. Now that the race has found its feet, organizers are hoping to expand its reach even further across the business and cycling community. There’s also talk of tweaking the course, perhaps adding more kilometers of the Great Ocean Road or adding more circuits over the hard climb to toughen up the race. Sunderland said there are no plans to add additional days to the race. They’re building an Aussie classic, and after five years, they’re well on their way.